Dr. Kecia Valdez, DVM is the founder and owner of Jules, Lathrop, and Arroyo Veterinary Center. Dr. Valdez was born in New Mexico and moved to Colorado to attend Colorado State Vet School. Her original dreams consisted of becoming a human doctor but a small schnauzer puppy quickly changed her mind. After becoming a concerned pet owner, she knew that becoming a veterinarian was her true calling. Dr. Valdez graduated with honors and was inducted into Phi Zeta, a veterinary honor society. Her medical interests include dentistry, soft tissue surgery, helping control the pet population and of course schnauzers. When she is not busy with her patient's medical cases, Dr. Valdez enjoys spending time with her three children Isabella, Francisco, and Sergio. She also finds herself lost in a good book regularly and taking as many pictures as she can. Dr. Natalie Olsen, DVM joined the Jules Veterinary Center team in February of 2011. She has a love for many species of animals including the very unique and exotic kind. Her fascination with other species does not end there; while attending veterinary school at Texas A & M University she was an avid volunteer along the coast assisting with injured marine mammals and sea turtles. 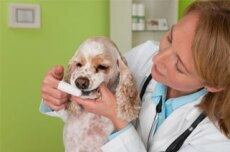 Dr. Olsen graduated with her Doctorate in Veterinary Medicine and has enjoyed working with animals ever since. 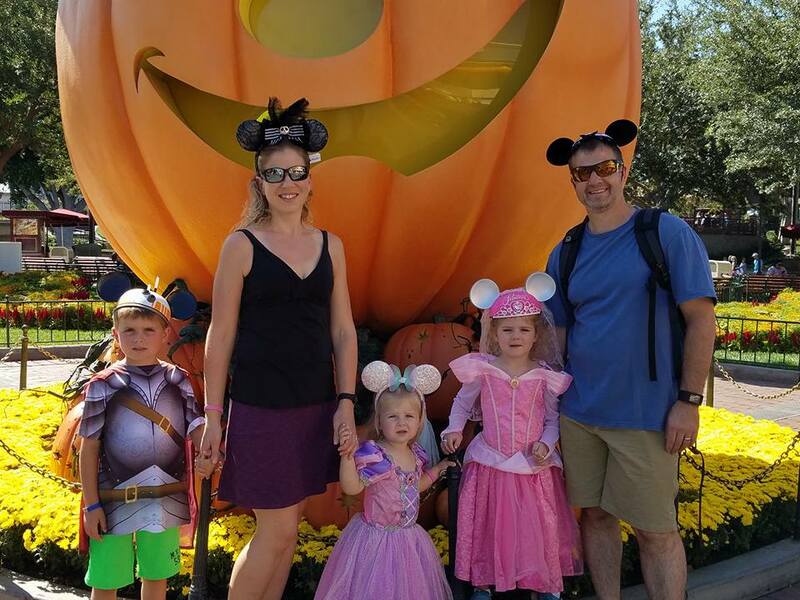 In her spare time she loves to be outside with her husband Geoff, son Frank, and daughters Hattie and Delilah; hiking, swimming, going to the beach, or running with her club called âMoms Running Wildâ. Natalie looks forward to learning something new on a daily basis and strives to communicate that knowledge to her clients. Dr. Jeana Atkins joined our Veterinary team in August of 2013. She is a Rhode Island native who moved to attend the College of Veterinary Medicine at the University of Minnesota. Prior to veterinary school, she spent 20 years riding horses on the beach, grooming polo horses, and working in a training barn to earn riding lessons. Dr. Atkins trained in the hunter/jumper discipline and later transitioned to dressage. She looks forward to learning parts of the western discipline as well. Dr. Atkins and her husband, Dustin, share their lives with their precious little boy, Liam and their little dog, Linus. She loves to ride horses, read, relax on the beach, and explore California with her family. Although horses are her hobby, she focused her veterinary studies on small animals. Dr. Sabrina Kong joined our team in August 2016 after graduating from the Royal Veterinary College in London, England. 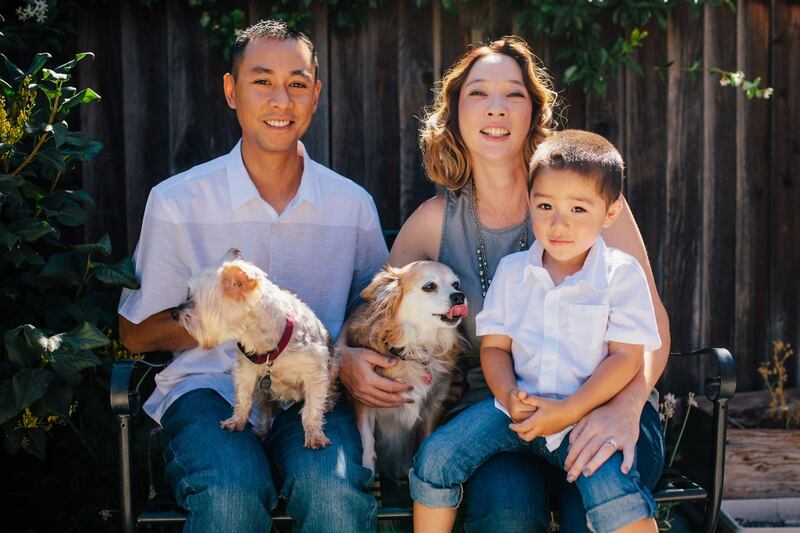 Dr. Kong was born and raised in the Bay Area and received her Bachelor's degree from Cal Poly, San Luis Obispo, but decided to go abroad and enjoyed 4 years in London for veterinary school. Dr. Kong also attended The University of Tennessee, University Outreach and Continuing Education to become a Certified Canine Rehabilitation Practitioner. When Dr. Kong first joined our team, she fell in love with a patient of ours, a sweet little puppy who had numerous health complications and no family to love him. Dr. Kong knew right away that he was hers and she was his and his new name would be Apollo. Apollo ended up having to have his leg amputated and continues to need medical treatment but we're happy to report that little Apollo and Dr. Kong are now inseparable. Dr. Kong enjoys spending her time with Apollo but also loves being with friends, trying new foods, watching movies, and traveling. Dr. Kong is interested in learning more about exotic animal medicine, soft tissue surgery, and using her knowledge to help patients with physical therapy and rehabilitation. Dr. Kong strives to build lasting relationships with our clients and providing the best possible care for their four-legged family members. Dr. Deandra Amaral joined our team in March of 2019, after graduating from Ross University School of Veterinary Medicine. Dr. Amaral was born and raised in the valley of California and received her Bachelor’s degree from Cal Poly, San Luis Obispo. She completed her pre-clinical training abroad at Ross University, on the small Caribbean island of Saint Kitts and Nevis. Dr. Amaral then moved to Texas to finish her clinical and final year of veterinarian school at Texas A&M. Dr. Amaral really enjoys all facets of veterinary medicine, but has a special interest in soft tissue surgery. She has one very spoiled “furchild” – a Pomeranian named Mac. When Dr. Amaral is not working, she enjoys running, crafting, and baking. Dr. Amaral is ecstatic to serve both the patients and clients of the Tracy community. Abe Valdez is the founder, owner, and hospital administrator of Jules, Lathrop, and Arroyo Veterinary Center. He was born in Albuquerque, New Mexico and completed his Masters of Science in Electrical Engineering. Not only does he oversee many important aspects of the hospital, but he is also a network architect. Abe can be quite the jokester but always knows when it is time for business. He loves spending time with his three children Isabella, Francisco, and Sergio. You can also find him golfing, mountain biking, playing poker, enjoying movies and cooking. Terra joined our team in October of 2011 as a Client Services Representative. After working her way up, Terra was promoted to supervisor, and then eventually to Practice Administrator for all three of our veterinary hospital locations. Terra started working in the veterinary world in 2004 as a DVM Assistant while attending college and has worked her way up, learning everything she could along the way. Terra grew up in Sacramento, CA and attended CSU Fresno and then CSU Sacramento, where she graduated with a BS in Micro Cellular Biology. Terra has a passion for animals, her grandmother being her most important role model. Growing up, her grandmother was always caring for sick or injured animals, so naturally Terra ended up with a career where her same passion and love can be put to good use (and hopes that her grandma would be proud). Terra has volunteered and fostered for countless rescue organizations and she's bottle fed more orphaned kittens than she can count. 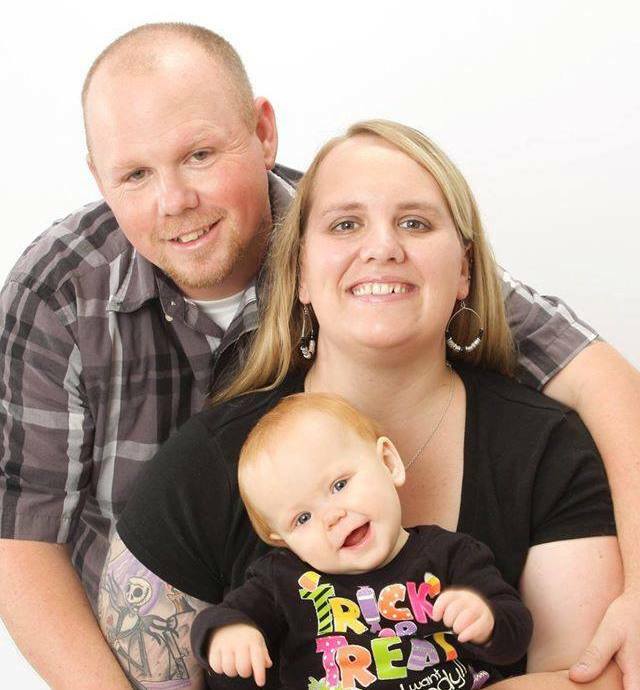 Terra now spends all of her free time with her husband Kurtis and their little boy, Connor. Terra has two cats named Timmy and Cali. Melissa has had a passion for animals ever since she can remember. She spent the majority of her time growing up with her grandparents who had quite the farm. Her childhood memories blossomed into a career path; leading her to the veterinary industry. After graduating high school she knew exactly what she wanted to do. Melissa joined Jules Veterinary Center’s customer service team in January of 2011. Eventually she plans on continuing her education and becoming an RVT. Melissa spends her free time cooking with her grandparents, dancing, and loves teaching her daughter Alayna how to properly care for their Chihuahuas named Bear and Cupcake, and their extremely large cat named Moose. Dana has been a member of the Jules Veterinary Team since the beginning. She started in September of 2002 and has been a staple to the front office ever since. She loves to greet clients and bond with many of our patients. She attended Foothill Community College and specialized in the AHT program. Since then she has had 3 beautiful children; Jessie, Ashley and Scottie and loves to spend time with them when she can. Her animals are also full of character which include a Cheddar a flame point Siamese mix, a turtle named Crush, Vixen a Doberman, and an array of goldfish. 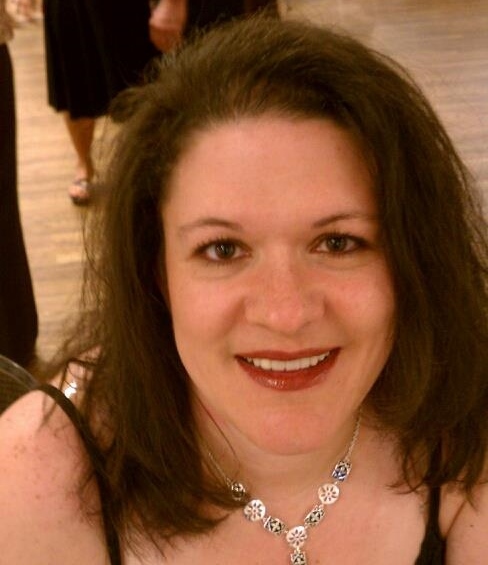 Dana enjoys shopping, sports, and visiting family and friends. Deann joined the team as a Shift Supervisor in March of 2015. She has been surrounded by all types of animals her entire life and enjoyed working with her father; who was a large and small animal veterinarian. After Deann earned her Associates degree she became a wedding and event planner. It was always fulfilling helping couples have the day of their dreams but missed being in the veterinary world. Deann has a plethora of interests such as cooking (her mother taught Chinese cooking classes), camping, kayaking, and biking. Her favorite hobby of all is spending quality time with her family, children, grandchildren, and her two Shih Tzus, Rufus and Lola. In the future, Deann would love to travel, volunteer with organizations, and take classes for photography and cooking. Rebecca joined our team in 2017 and she brought 15 years of veterinary client services experience with her. Rebecca currently has 2 leopard geckos, Ruby and Ursla, a crested gecko named Hoggle, a white tree frog named Vegeta, a dwarf lion head bunny named Bulma, and a beautiful bearded dragon named Yuui. Rebecca has 2 forever dogs, that are no longer with us, but are constantly in her heart, named Harvey and Cole. In her free time, Rebecca loves to spend time with all of her exotic pets, reading, and doing art projects. Rebecca has a passion for birds of prey and has learned and practiced falconry. Shari joined our team in May of 2018 after just moving to California from the Midwest. Shari is an RVT, however she enjoys working as a client services representative. Shari graduated from Joliet Junior College in 2002 where she received her A.A.S in Veterinary Technology. Shari and her husband spend all of their free time with their 3 children and so far have loved exploring California. 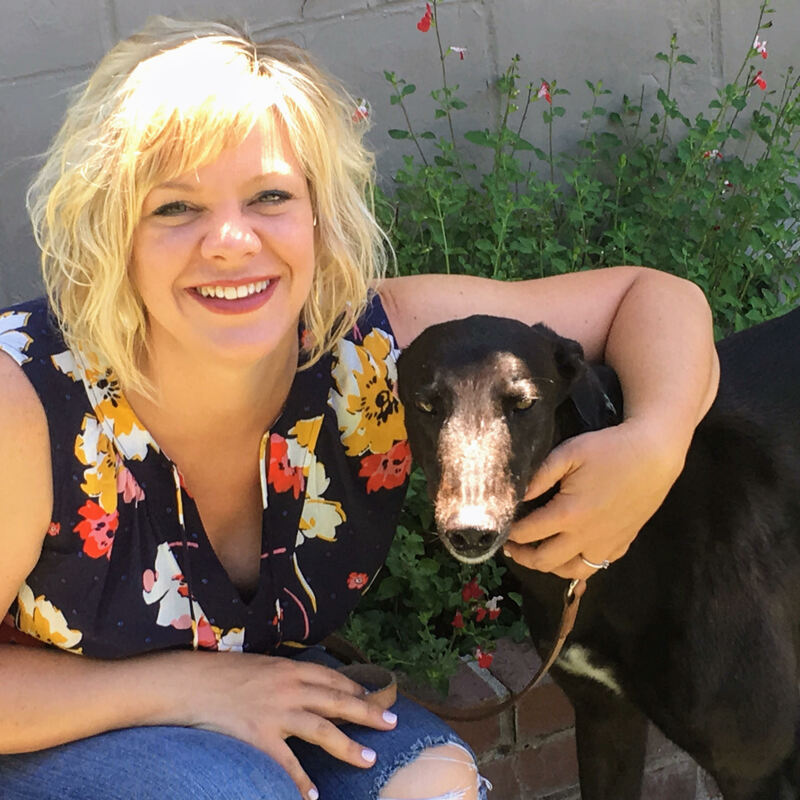 Shari and her family share their home with a rescued retired racing greyhound named Ringer, and he is the love of their life. Rachel joined our team in September of 2018, first as a kennel technician and then worked her way up to a client services representative. Rachel has her education in Early Childhood Development, however veterinary medicine is where her passion is. Rachel shares her home with an Aussie named Budrick, a chihuahua named Carly, a min pin mix named Georgie, and a cat named Sami. Rachel enjoys reading, spending time with family, and supporting her church softball team. Jessica joined our team in November of 2018 after moving to California from Washington, although she grew up in Central California. She brought with her 12 years of veterinary experience and hopes to one day become an RVT. Jessica has worked in different areas of the veterinary hospital, starting out as a kennel technician and a nurse assistant, and has worked her way up to the front desk. Jessica has a kitty named Serendipity, who pretty much rules the house. Jessica enjoys cross stitching, reading, hiking and hopes to one day dive with sharks in the ocean (without a cage!). Cait joined our team in November of 2017 as a kennel technician but Cait quickly moved her way up to client services representative. 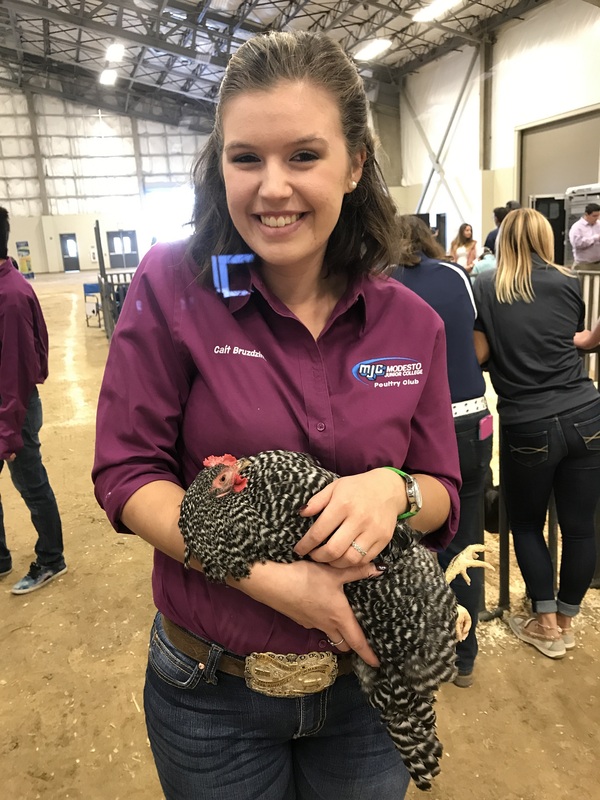 She currently attends Modesto Junior College where she is declared an Animal Science major along with a Poultry Science major. Cait is currently the president of the Poultry Science Club at MJC as well. Cait currently has 2 dogs named Sam and Maya, 8 cats named Bandit, Asterid, Justin, Porthos, Monkey, Torch, Sydney, and Katie, along with and a bunny named Fran and a guinea pig named Ginny. Cait's mom is an RVT so she has been around animals her entire life. Cait is always busy with school and work but after college, hopes to one day work for the USDA. Once in awhile you will see Tira working at the front desk, but she spends most of her time behind the scenes, helping all of our employees with human resources and employee benefits. Tira is Dr. Kecia Valdez's sister and is obviously a big part of our work family. Like Dr. Valdez, Tira has a special place in her heart for animals and she is an advocate for pets that need veterinary care. Before moving to California from Colorado, Tira was a full time dental hygienist and now she splits her time with helping all of us and dental hygiene work. 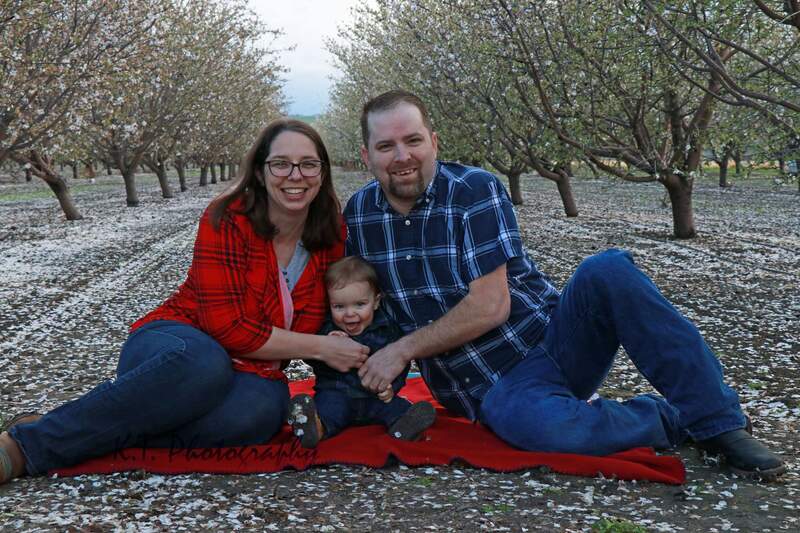 Amy was born and raised in Tracy California and is Tracy High Alumni. After graduation, she pursued her A.S. degree and became a registered veterinary technician (RVT). She has been a member of the Jules Veterinary Center team since 2005 and specializes in surgical procedures. Amy also enjoys working on her parents cattle ranch and aspires to have a herd of her own. When we say she has a farm, this is no understatement. Not only does she manage a couple hundred head of cattle, her working dog Annie Oakley, 2 horses (Walt and Rowdy), and a stubborn donkey named Buster. She always looks forward to spending time with her husband and kids, someday winning the lottery, and sitting at a black jack table with great friends. Bridgette may be a petite blonde, but do not let that fool you. She has a large personality and is the nurse who is prone to kissing all the animals who come in. She joined the Jules Veterinary Center nursing team in April 2008 and has been empathizing with our clients ever since. Bridgette is a Tracy native who graduated from Merril F. West High School and continued her studies at Western Career College where she graduated with an A.S. degree. She has an array of rescue animals including Jackpot, a little guy that Tracy Animal Services brought in that was pretty bad off. She also rescued Duke, a Chihuahua mix, and she has a horse named Blaze. When she is not at work she would rather be outside enjoying the sunshine, or even the rain. Her passions include camping, horse back riding, and hiking with her pack of dogs. Jessica joined our Veterinary Nurse team in January of 2012. She is a graduate of Western Career College with her AS in Veterinary Technology. Shortly after graduation Jessica took her state boards and became an RVT (registered veterinary technician). She has a fascination with physical therapy in the veterinary world and looks forward to furthering her knowledge so she can apply it to our patients. Jessica and her husband have a full house with two beautiful little girls and an array of personable pets; there is Shelby the âChiweenieâ, Max a Chihuahua mix, and Groot and Sally, their cats. In her free time, she loves to spend time with her husband and girls, work on vintage cars, garden, and watch The Nightmare Before Christmas. Katie is a jack of many trades. She started working at Jules in 2006 as one of our kennel assistants. She “graduated” to reception in 2009 and now is a strong force on our nursing team. Katie is another member of the team who was born and raised in Tracy, graduated from Tracy High in 2006, and completed the VASE program in 2014. When she is not working, she can be found with James, her husband, and her two adorable children, Paisley and Baby James. Katie loves giving horse back riding lessons, baking (she also makes custom cakes! ), off-roading in her truck, or with friends and family. Not only does she have a large family that consists of 3 other sisters to keep her busy but a large animal family as well. 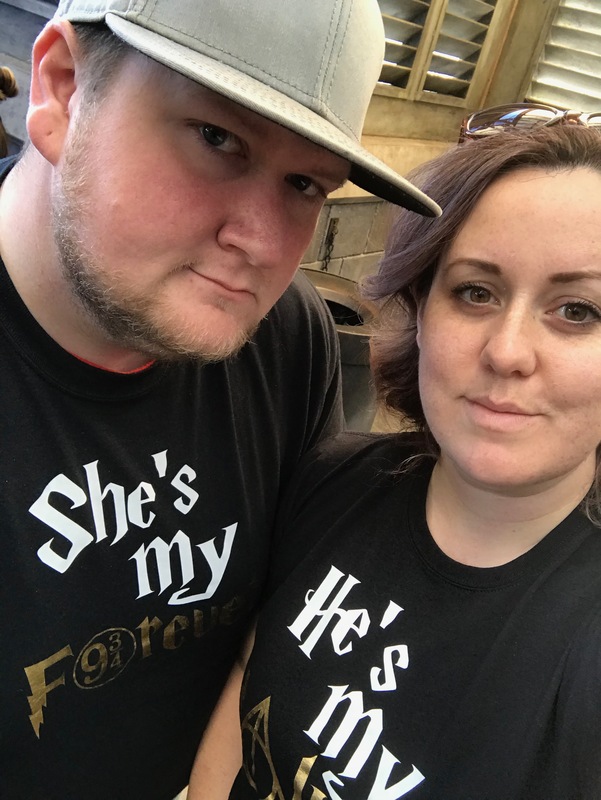 Katie has two cats named Ricky and Bobby (yes, named after Talladega Nights), Jaz and Lucy her horses, Luci an Australian Shepherd, Bryant a Labrador Australian Shepherd Mix, and “Baddey Maddey” the Basset Hound she bought for her husband's birthday. Maddey is one of the main reasons why Katie can empathize with clients; she is prone to eating things she should not and getting herself into mischief. 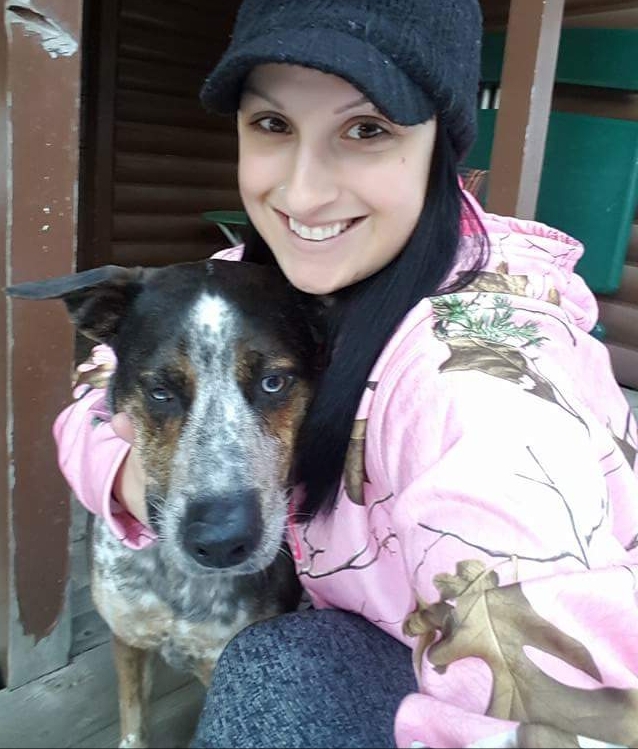 Courtney joined the Kennel Technician team in September of 2012, however she learned quickly and moved up to nurse assistant and then to veterinary technician. After graduating from Carrington College in 2013, she moved to our Veterinary Technician team and is working towards her RVT. 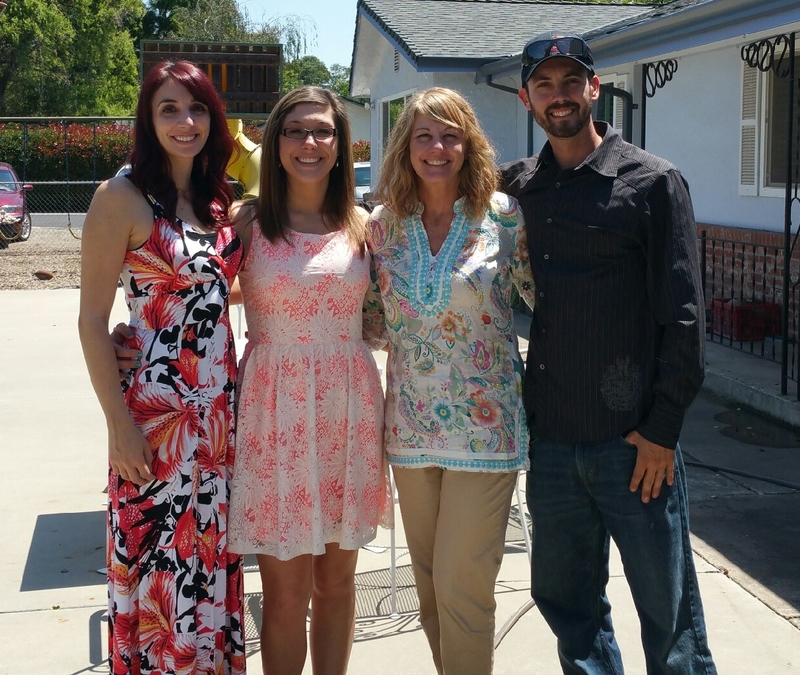 Courtney is one of our many Tracy natives and has grown up in our community. She currently has three cats at home; Kinsley who she found and bottle fed and Mac who was abandoned, infested with fleas and in need of a blood transfusion, and Baler, who was actually stuck in a hay baler and sustained serious injuries. In her free time she loves to watch NASCAR, baseball, and go to the Stockton 99 to watch her husband, Justin, race his late model. Noelle joined our team as a Registered Veterinary Technician in July 2016. She attended Tracy High School and then San Joaquin Delta College. From there, Noelle enrolled in the Veterinary Technology program at Carrington College where she graduated with honors and a 3.7 GPA in January 2015. Noelle has also volunteered a lot of her time to animals and caring for them (one of the many things that we love about her!). She volunteered over 100 hours at the Sacramento Zoo as a Keeper Aide Volunteer and volunteered with Animal Rescue of Tracy as Head Junior Volunteer for almost 4 years. When Noelle isn't working at Jules Veterinary Center, you can find her fishing, riding dirt bikes, camping, going to the beach, and watching movies. 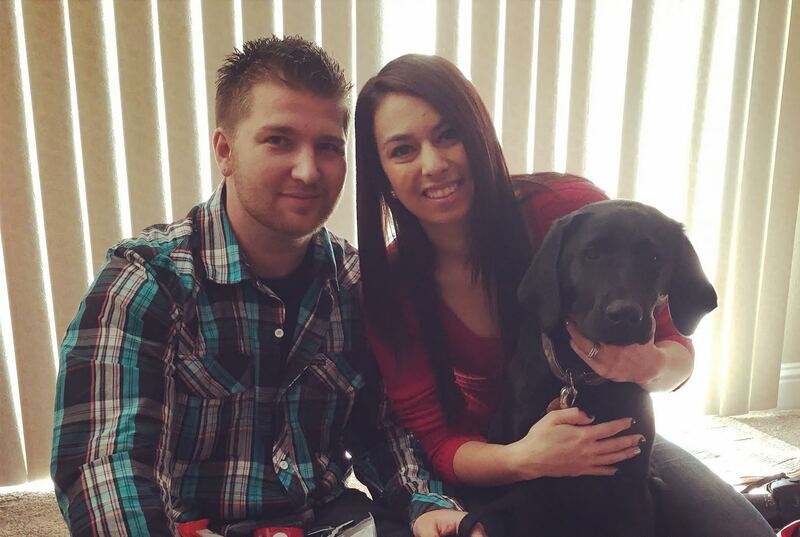 Noelle and her husband share their home with a black lab named Axle, a mix named Riat who she rescued after someone threw him out of a car on the freeway, two cats named Mindy and Mo, a rabbit named Tyla, and two geckos. Noelle's future goal is to work with exotics at a zoo. Heather joined our work family in June of 2017, bringing 7 years of experience with her as a Registered Veterinary Technician. Heather has experience working in veterinary urgent care and specialty medicine and now has dedicated herself to our patients and our work family. Heather enjoys spending time with her husband and 3 kids, their dogs Bodie and Lady, and their adorable, mischievous 3-legged cat named Cheez-It O'Malley. Heather is a HUGE Disney fan and she also loves to craft. In Heather's free time, she has a side business where she makes quilts, custom shirts and glassware. 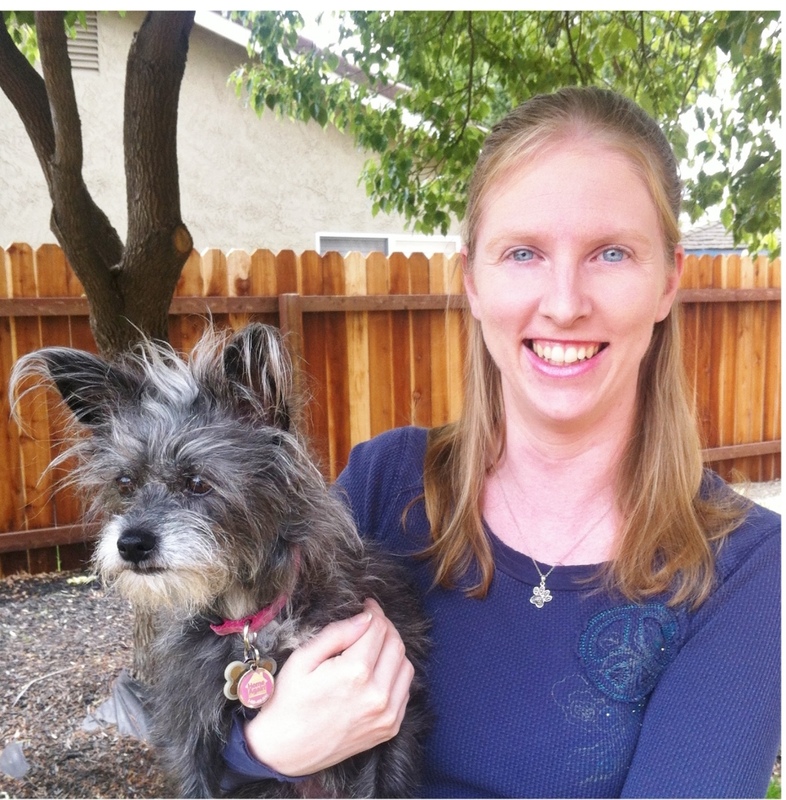 Heather's interests include canine physical therapy and rehabilitation and neonatal patients. Brandy joined our team in August of 2017 and brought with her 12 years of experience working in the veterinary industry. Brandy graduated from Western Career College in 2009 is working to become a Registered Veterinary Technician. Brandy is a Tracy native and attended Tracy High School where she was in the Ag Science Academy. Brandy has three dogs named Charlie, Nacho, and Lucky and three cats named Vega, Gypsy, and Kamper. 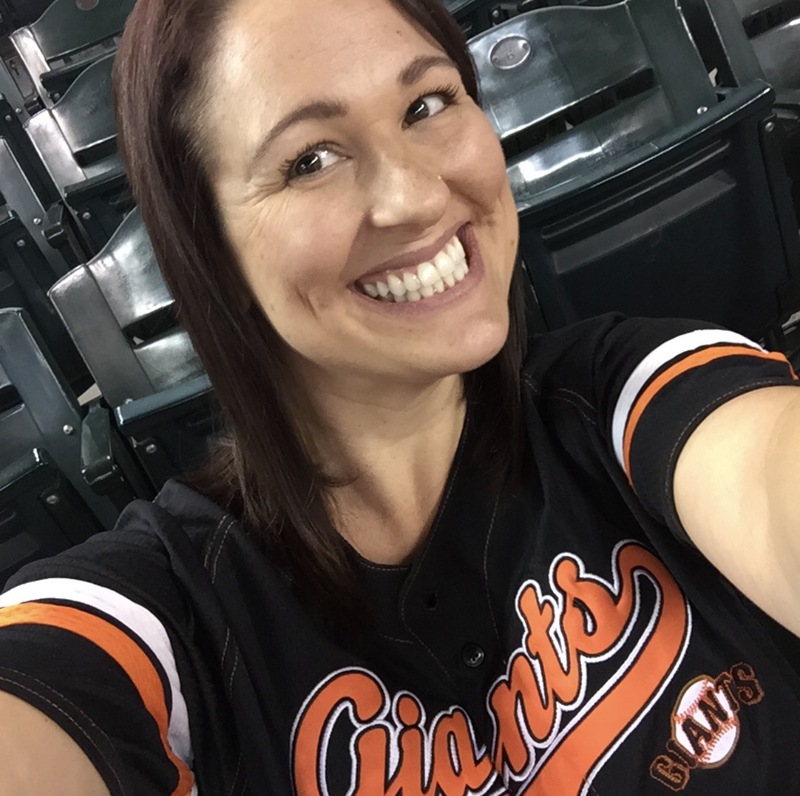 Brandy is a lifelong San Francisco Giants fan and loves crafting and spending time at the ocean. 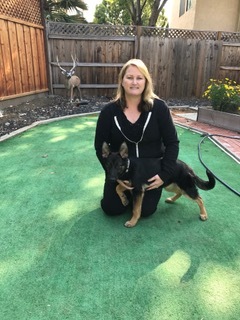 Jessica Joined our team in August of 2018 and completed her A.S. Veterinary Technology degree with high honors, from Foothill College. She started working in the veterinary world by volunteering her time in the surgical department of a shelter in Milpitas. From there she was inspired to become an RVT and she did just that. Jessica has also volunteered at the Palo Alto Zoo where she worked with all kinds of exotic animals, her favorite being the owls, raccoons, fruit bats, and bob cats. Jessica, her husband Philip, and their daughter Karli share their home with 2 cats named Churchill who is a mamma's boy, and Peachy Keen (lost both of her eyes), who is a daddy's girl. They also have a black German Shepherd named Gunnar who is advanced in obedience training. If Jessica isn't at work, she is with her family in search of new places to go hiking. Jill joined our team in March of 2019. 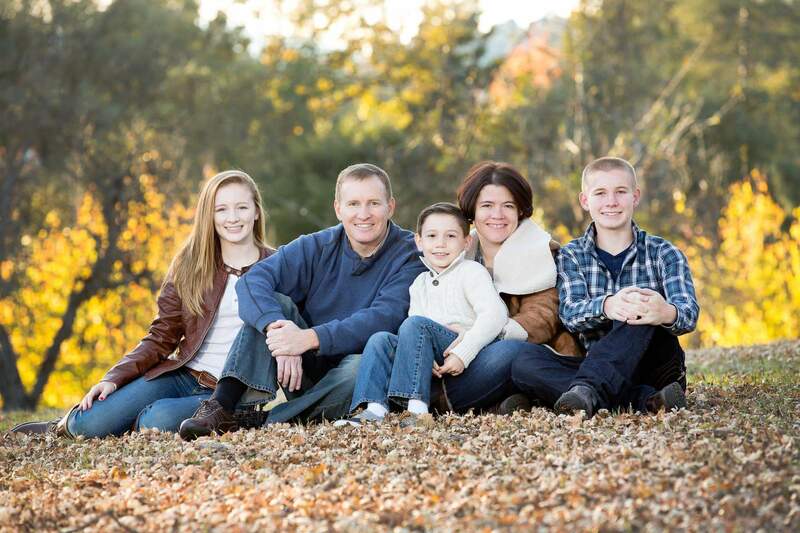 Prior to joining us, Jill was a police officer where she gave 28 years of service. Jill enjoyed working with the K-9 Unit throughout the years and volunteered a lot of time with them. Jill has a new calling in life and pursued a career in veterinary medicine. She graduated from Carrington College and is now a licensed RVT. If that isn't enough, Jill is now currently pursuing a B.S. degree in Business. Jill and her husband share their home with 2 cats, Leah and Brownie, 2 parakeets, and one fish. Her family is also adding a new addition to their home and will be getting a puppy very soon! Torri joined our team in August of 2017 as our Senior Groomer. Torri has 12 years experience with pet grooming and she's the best in town! After Torri completed the grooming academy and had been grooming pets for a few years, she became an instructor at the academy to further her experience. Torri came back to grooming and we're glad she did! Her future goal is to one day become a Master Groomer. Torri has a dog named Ziva, three cats named Tilly, Zoey, and Sammy. Torri and her family also have a Red Tail Boa named Mr. Snake and four chickens named Cheyenne, Allison, Poppy, and Branch. Torri is a busy mom and spends all of her free time with her family and pets. Jenny joined our team in April of 2018 but has been grooming dogs since 2016. Jenny has a dog named Canelo and a rabbit named Cardi Bunny. Jenny enjoys spending time with her family and loves going on road trips most of all. Jenny hopes to one day become a Registered Veterinary Technician. Cheney joined our team in May of 2014 at our sister hospital, Lathrop Veterinary Center after moving to Manteca from San Diego. Cheney is originally from Wisconsin and you can faintly hear the accent if you listen closely. Cheney started out as a kennel technician and now leads our kennel teams here at Stay! Pet B&B and at LVC. Cheney has her A.A.S from University of Wisconsin but hopes to one day become an RVT. Cheney has spent countless hours volunteering at local animal shelters in California and Wisconsin. In Cheney's free time, she loves to spend time with her nieces and family and loves to take the dogs on a hike. The love of Cheney's life is a terrier mix named Millie a.k.a. Fuzzy Muffin. Ms. Helen joined our team in January of 2018 but we have known her for many many years. Ms. Helen has been bringing her pets to us since we opened but when we moved to our new location and opened our boarding services, she offered to help us out a few days here and there...and now we can't imagine life without her. Ms. Helen has three dogs named Sammie, Lu Lu, and Niner, and a mini horse named Bomber. She has trained and shown Arabian horses and has a deep love for them. Ms. Helen enjoys spending time with her animals and family and keeps herself busy enjoying life to the fullest. Emily joined our team in July of 2018 as a kennel technician. Emily is a Tracy native and graduated from Tracy High in 2014. She is currently enrolled in the Penn Foster Veterinary Technician Program so she can become an RVT. Emily shares her life with a giant Anatolian Shepard named Forest that she loves to travel with. Emily is a 4H and FFA Alumni and likes to spend her days off reading, baking, and spending time at her family's cabin in Truckee.